A lot of beauty graced this Four Seasons Westlake Village wedding cake table! Most notably, the wedding cake sat on a glass top floating above the actual table surface and between the two was a layer of stunning flowers by Brad Austin Imaginative Florals. 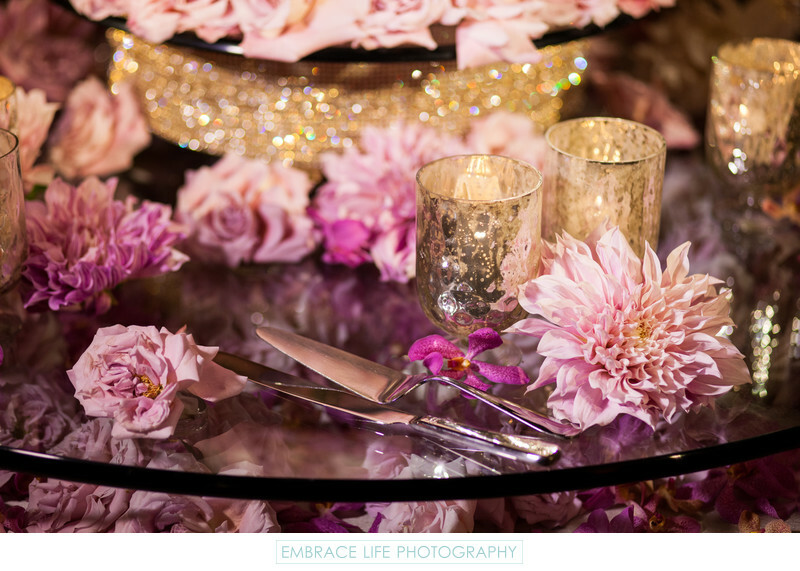 On top of the glass is a glamorous gold, glittering cake stand, mercury glass candle holders, silver cake serving utensils and even more beautiful flowers.